Home News Company News Injection syringes – Vial or tube feeding? 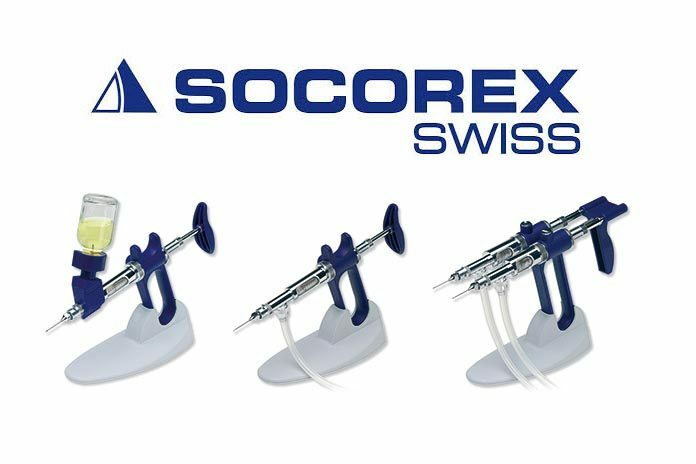 The Swiss made Socorex® self-refilling syringes with spring-loaded plunger and three-way valve system are designed for serial precision animal injections. They are perfectly adapted for injecting aqueous, oily, viscous or heavy iron solutions as well as a variety of suspensions. 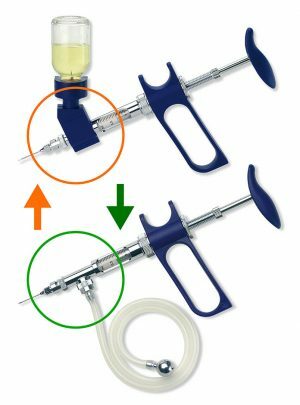 Easy, instant syringe conversion from feed tubing to vial holder and vice versa, according to your specific applications. The simple assembly procedure requires no tool and is reversible at anytime; syringes remain autoclavable fully assembled. Alternatively, combo syringe pack incl. both accessories. A colour leaflet provides complete details on the Socorex®. Find further information about our product range on our web site.